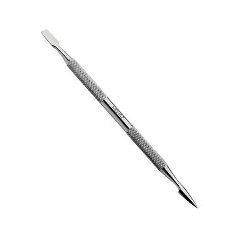 Mehaz ® Professional Pusher/Cleaner 5"
This tool is versatile and features a spade for pushing back cuticles and a spear for cleansing under fingernails and toenails. Round handle design. Stainless steel.